Ethelbert Nwakuche Chukwu earned his B.Sc. in Mathematics at Brown University (1965), a M.Sc. 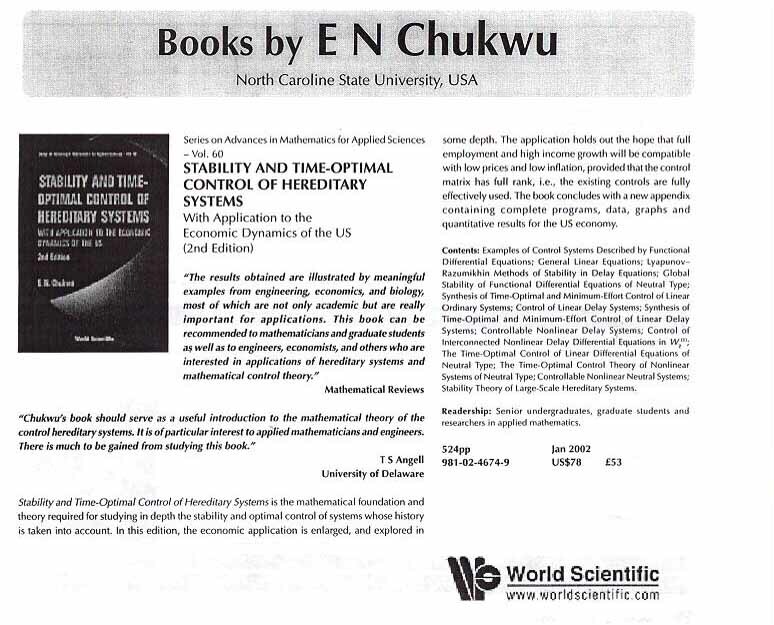 in Applied Mathematics at the University of Nigeria-Nsukka and earned his PhD. in Mathematics from Case Western Reserve University (1972). Thus began a remarkable career in Mathematics Resarch and Administration. 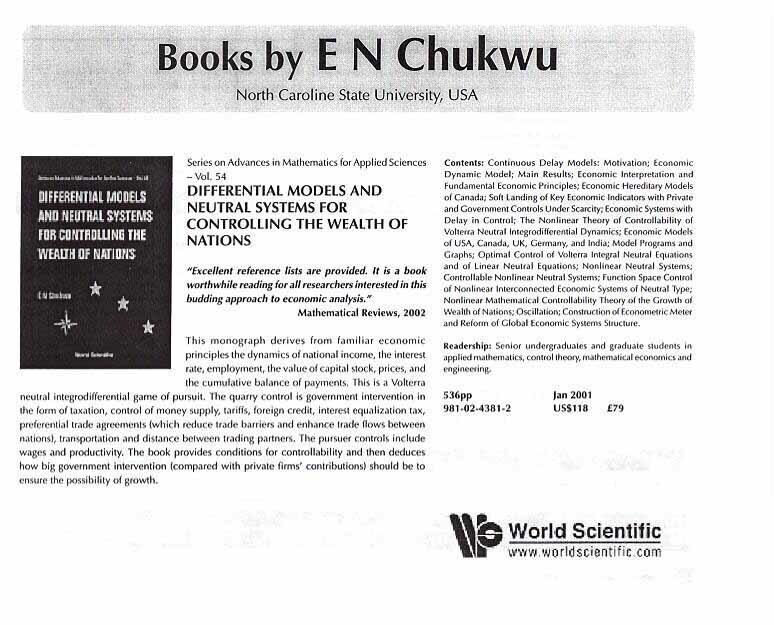 Dr. Chukwu's hobbies are music and poetry. 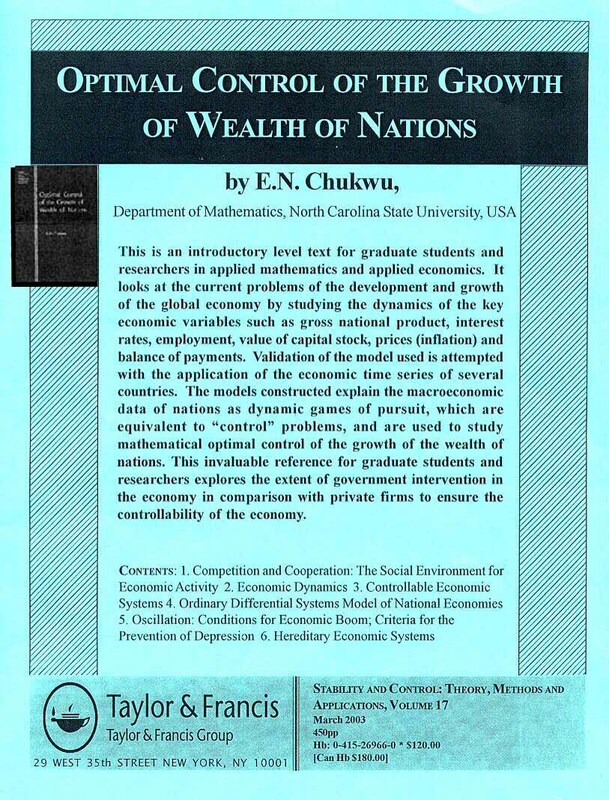 Chukwu, E. N. Differential models and neutral systems for controlling the wealth of nations. Series on Advances in Mathematics for Applied Sciences, 54. World Scientific Publishing Co., Inc., River Edge, NJ, 2001. xvi+513 pp. ISBN: 981-02-4381-2 91-02.